Adele – a name everyone knows, as well as the incompareable, powerful voice behind her. It’s not surprising that her shows neither require dancers in tight outfits or high-tech special effects, nor a costume change every two songs, because Adele’s concerts focus on what is supposed to be focused on. The music. 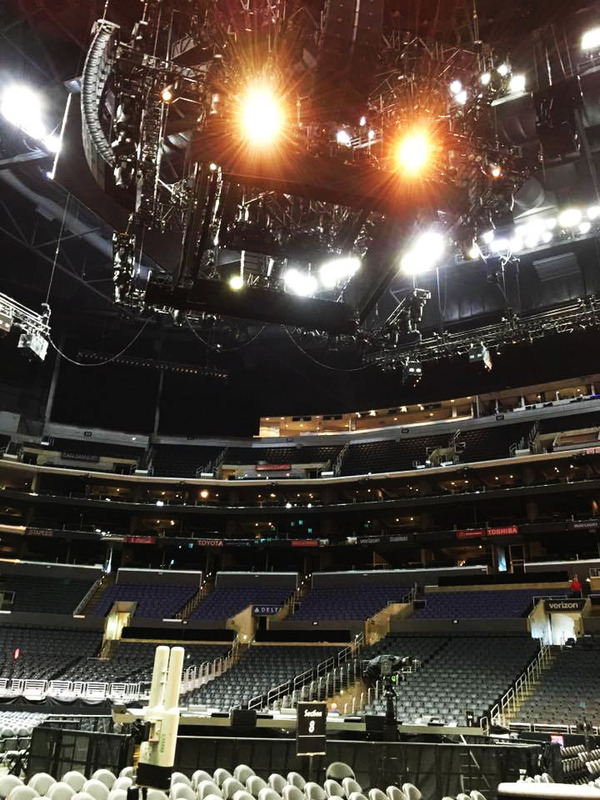 Black Box was honored to be part of the tour of award-winning and world musician Adele and provide the entire sound equipment for her 105 arena shows across Europe, the USA, Canada and South America. And it’s far from beeing over yet! In February, the Adele Live Tour continues with 11 spectacular stadium shows and “Hello” will be heard live “from the other side” of the world in Australia and New Zealand for the first time. In June, the british singer also performance the stadiums of her home country. In order to reproduce the soul-touching voice of Adele in a crystal-clear and powerful sound, as it should, Black Box has again staked it’s inventory on PA loudspeakers and monitors from L-Acoustics. Soon, those will be shipped with more sound equipment, like microphones, mixing consoles to Australia, for the Adele live tour.